This is the place where all the magic happen. And cuddly... I can sleep in every position. "This is the place where all the magic happen. Where the dreams come true and foxes get happy :D"
"This is the place where all the magic happen. 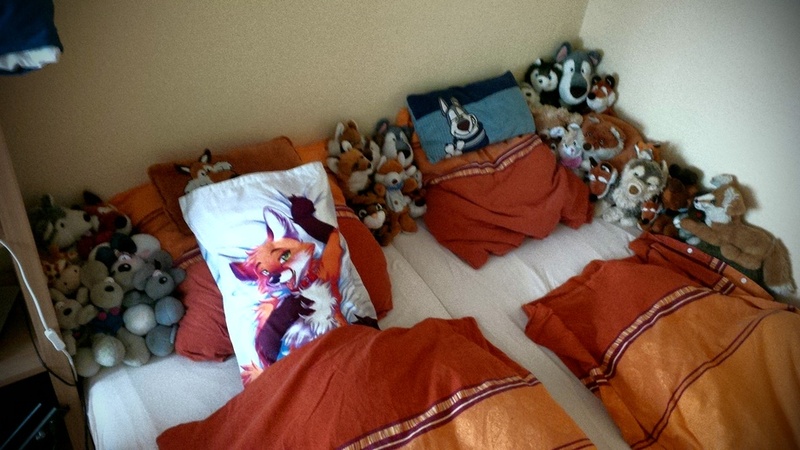 Where the dreams come true and foxes get happy :D"
omg...I has to has that pillow! pweez! !